February is National Children’s Dental Health Month, and we can’t think of a better time to discuss next week’s Oral Health Caucus in Missouri, ranked one of the worst states for access to oral health care. Gary Harbison examines the cause of the Caucus and some possible outcomes for Missouri. On Monday, Feb. 11, 2013, the oral health status of Missouri will begin to move in a different direction. On that date the first meeting of the Missouri General Assembly Oral Health Caucus will be held. Representative Donna Lichtenegger and Representative Jeanne Kirkton co-chair the Caucus. A caucus is nothing more remarkable than a meeting, but this is a meeting of great importance to Missouri. 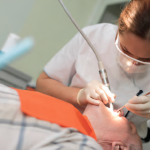 While oral health rarely grabs the headlines, and most Missourians are unlikely to think of oral health as a crisis, Missouri has in fact quietly entered an oral health status that can best be described as a public health crisis. Almost every measurement available tells us that Missouri’s oral health is poor, from the low number of children with Medicaid coverage who access oral health care (30 percent), to the high number of adults with all of their natural teeth removed (20 percent), to being ranked 47th among states for access to oral health care. The Oral Health Caucus will provide an opportunity to focus on oral health policy and to raise awareness among members of the Missouri General Assembly and the public. The first meeting will include discussion of the purpose of the Oral Health Caucus, an introduction to the Missouri Coalition for Oral Health, and an important guest speaker. Dr. Bob Russell will talk about the role of the state dental director in shaping oral health policy and establishing state priorities. He will also discuss oral health programs started in Iowa. Dr. Russell is the Iowa dental director. Typically, states with a dental director are able to successfully compete for federal grants used to support efforts to improve oral health. Federal oral health grants are issued by the Health Resources and Services Administration and the Centers for Disease Control and Prevention. Dental directors also tap into private funding. Missouri has not had a state dental director for 10 years. Reinstatement of the Missouri dental director is a top priority for the Missouri Coalition for Oral Health. 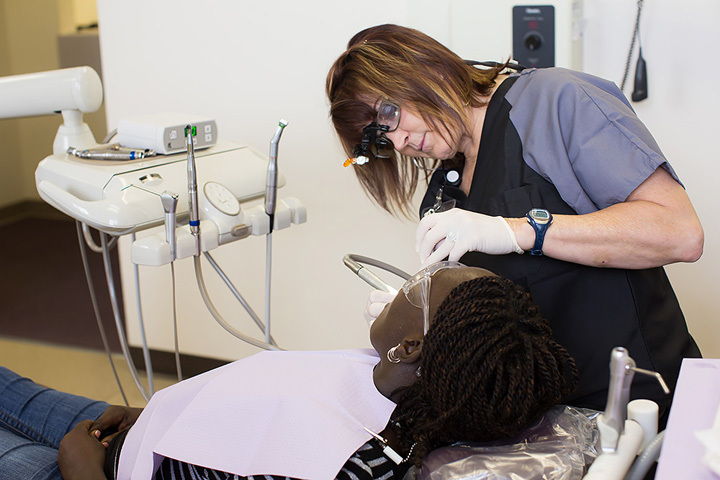 One potential area of focus for a Missouri dental director is the establishment of a sealants program for students in high-risk schools. The recent Pew report on sealants graded Missouri with a “D.” The placement of dental sealants is a highly effective method of preventing cavities that is particularly helpful for children who do not have a routine source of dental care. Missouri has the distinction of being one of only four states without a sealants program for high-risk schools. For many years Missouri’s oral health has been slipping. It is time to turn the curve. The Oral Health Caucus will make Missouri’s oral health crisis difficult to ignore. With the dedication and commitment of legislators, policy makers, oral health professionals and advocates, oral health will become a priority for all Missourians.